Cup – $2.99 Bowl $3.99 Served with a fresh baked roll. Ranch, French, Light Italian, Greek, Thousand Island, and Blue Cheese. 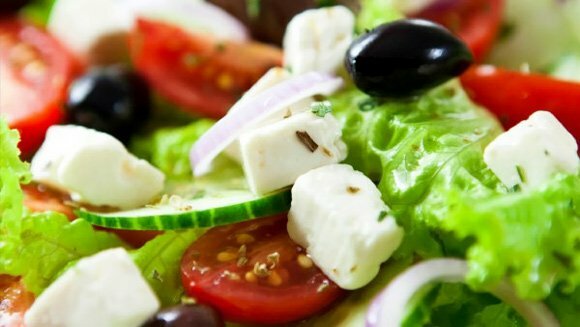 A bed of fresh lettuce topped with feta cheese and Greek olives, diced tomatoes, sliced cucumber and onion, with a creamy Greek dressing. – Sm. $5.99 – Lg. $6.99.